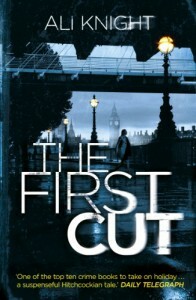 Ali Knight’s thrillers, The Silent Ones, Until Death, Wink Murder and The First Cut, published by Hodder, are available now. Go to Ali Knight’s Amazon page. 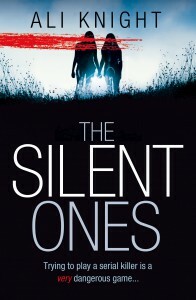 Darren Evans was only eleven when his beloved sister Carly and four other teenage girls disappeared, sparking a huge police investigation. Eventually, a woman confessed to their murder. But although she admitted her guilt, Olivia Duvall refused to say what had happened to those five missing girls. Or where their bodies might lie. Ten years later, Darren's family are still no closer to the truth. Desperate to alleviate his parents' heartbreak, Darren gets a job as a cleaner in the psychiatric hospital where Olivia was committed, hoping he can make her tell him his sister's fate once and for all. Marriage is a prison for Kelly. Her manipulative and violent husband Christos videos her in the house, has her followed and tracks her every move. She may be desperate to leave, but she's not stupid. If she runs, he'll make sure she never sees her children again. 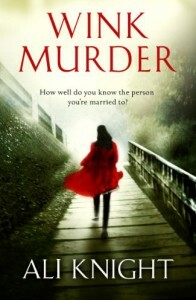 Kate Forman has an enviable life: a loving family and a perfect husband, Paul. But one night she finds Paul drunk and covered in blood, mumbling about having killed something - or someone. 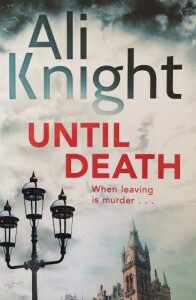 When a young and attractive woman who works for Paul is found murdered, Kate's suspicions about what he has really done send her on an increasingly desperate search for the truth that threatens to smash her carefully constructed life. Doing the right thing should seem obvious, but as the lies multiply, the truth is not as straightforward as it seems; how well do you know the person you're married to? Nicky's had more than her share of heartache. So when she meets a hot young stranger she thinks a little flirting can help her forget the past. She's married, but it's innocent enough. Except what starts as fun leads to a terrible ordeal, and a dark secret. Nicky's about to discover that the scars of love can last a lifetime. © 2019 Ali Knight. Made by Bookswarm.